This tasteful Kiddush cup will enhance your Kiddush ceremony, Shabbat and Yom Tov table. 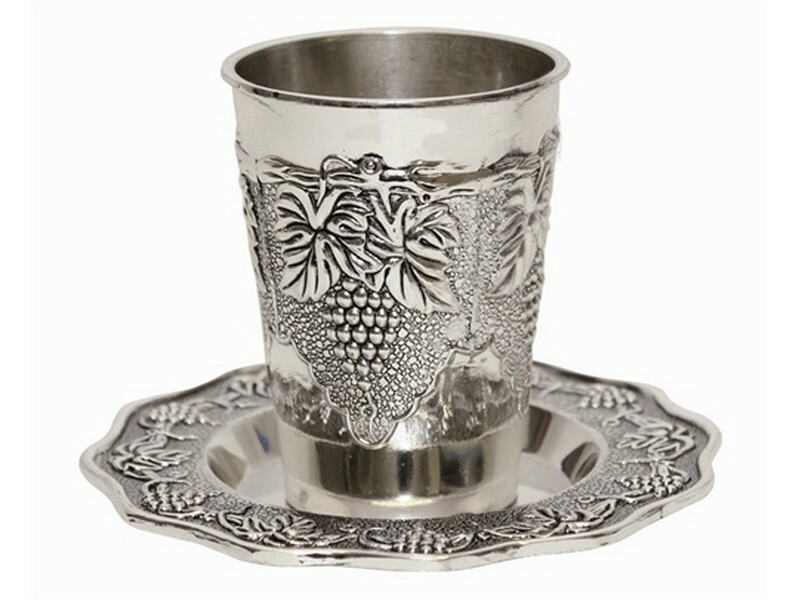 This nickel plated Kiddush cup has a traditional grape design. It comes complete with a coordinating saucer with ridged edges. It makes a beautiful centerpiece for any special occasion.